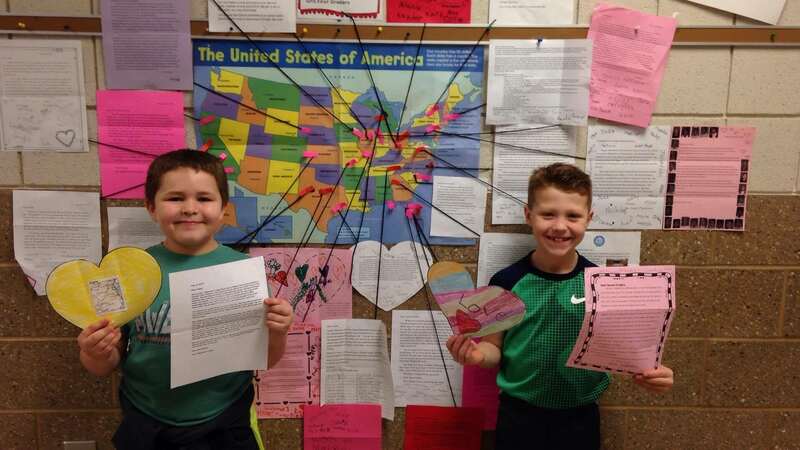 GALION – Galion Primary School second-grade teacher Lynne Foust used technology to engage other schools from around the United States in a Valentine exchange program. The project involved students writing a letter to the other classes and making a Valentine to send along with the letter. Foust decided to be part of the project when she saw the idea on a second-grade Facebook group. Foust’s class received 35 valentines, and have continued receiving one or two each day since Feb. 14. The most interesting came from a second-grade class in Walton, Kansas. Each student opened one letter and shared it with the class. Foust and her students placed sticky notes on the U.S. map to help track where the letters were from. After the students shared the letter with the class, they got to keep the valentine that was sent. Foust, however, kept the letters to display for others to see.